Gone are those days when we used to save passwords on sticky notes OR use most common passwords like Date of Birth, Marriage Anniversary Date or someone’s Name just to ensure we don’t forget another password. 80% of breaches are caused by poor or repeated passwords hence it’s essential that each account should have a unique password. Now you can have a unique password for every individual login and as many sites as you can. TweakPass is one of the unique software designed by Tweaking Technologies which is reaching a new user every minute. A Password Manager serves various purposes to help us go online with ease. Password Manager saves all your passwords in one vault which has highest security encryption and access with one Master Password. A Password Manager also comes with Password Generator which helps you to generate strong passwords and fill them automatically when you try to login to different sites. It also stores credit card or payment information to streamline online shopping. It Also saves your information to fill in forms automatically for you. Once you will use its trial version, you won’t imagine going back and maintaining lists of passwords or worse. When you save all your passwords at one place, you may wonder, what if I forget my Master Password? What if the Master Password is hacked? What if someone hacks the central vault of the password managing company? It’s possible that yours and millions of account holder’s credentials are at risk. No worries! TweakPass has got a solution to all these concerns. It gives you access to 24/7 Email support in case you forget your Master Password, or you need help in managing your account. It also allows you to reset your Master Password through registered Email with secured authentication. Password Manager and vaults are secured with AES-256-bit encryption, PBKDF2 SHA-256 & HMac to ensure complete security of your data. Its multifactor authentication process ensures that a correct Master Password is entered to access the vault. 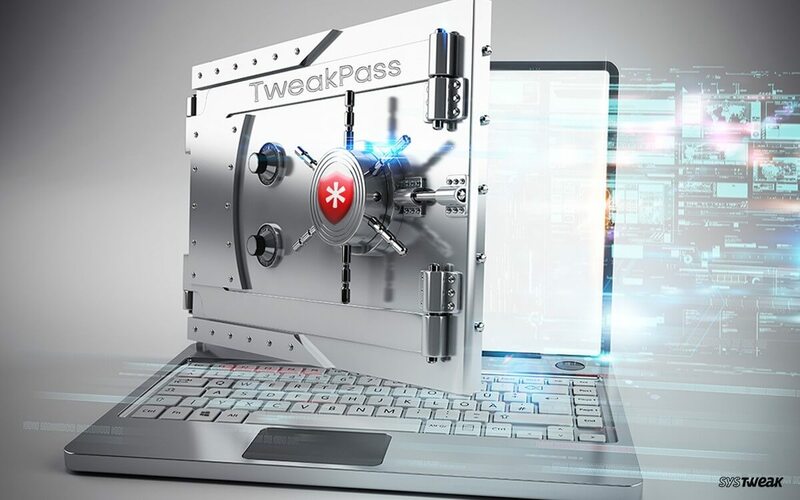 In comparison to other password managers, TweakPass is offered at a very reasonable price tag of $29.95. Lowest price is offered only till introductory offer is ON. TweakPass allows you to import and save all your saved passwords from your browser and keep them secured for further use. Now you need not to sit for long to fill in your credentials on online portals. Its Autofill feature helps you to automatically fill all the saved information for you. Its multiple form filling identity feature seeks your permission as to which profile detail you want to fill in on a given form. TweakPass shows notification of actionable password strength report to enhance strength of a weak password or an old password which is about to expire. TweakPass is loaded with an application manager if you want to restrict few applications for an individual user. Those applications will only open once you enter the password for them. TweakPass comes with a details dashboard to give you insight of each and every noticeable aspect of the tool. It has got bifurcated view of saved password, banking details, identity information and other notes. It’s not complicated to use! It is a user-friendly and easy to use application which can be used by a 10-year-old kid to a vintage user. Company has not settled with just these features for TweakPass. The team is constantly working on designing and development of the Application to make it more robust and world-class tool for managing passwords. Excited to get TweakPass password manager on your system? Hear are few basic steps to get this wonderful application installed on your system. Once you have the setup file downloaded, you just need to double click on the downloaded file and it will initiate the setup. It will ask you to fill in signup information and to choose your Master Password. It’s very important to remember the Master Password and the Password Hint you enter while creating the account. Once you create your account, it will automatically browse and list out all your saved passwords and user information from the browsers to import into the account. Once you import the secured information to TweakPass vault, it will prompt you to install extension for your browser to fill passwords, remember new passwords, autofill forms and more actions. A browser extension will be installed, and you would be able to see an icon for the same. TweakPass is a must have application for every PC to enjoy hassle free browsing and keep all your information secured with one Master Key. All you must do is to remember the Master Password and leave rest on TweakPass. Now no more account lockout and no more silly passwords. Just click on the link and start relying on TweakPass.